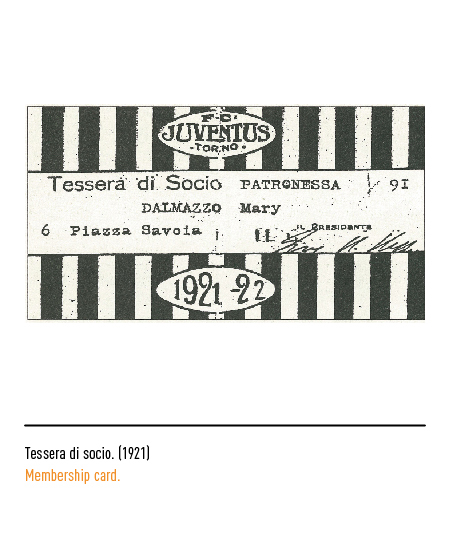 In 1897 a group of high school students, attending the Classical Institute D’Azeglio in Turin, comes together for their common passion for foot-ball, a newly imported sport from England. 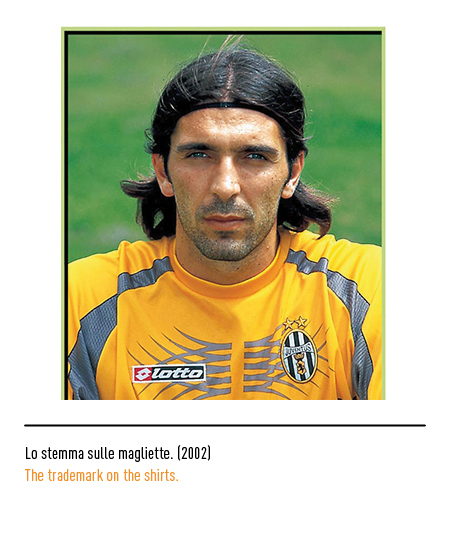 They are young (the oldest of them was 17 years old) and educated. 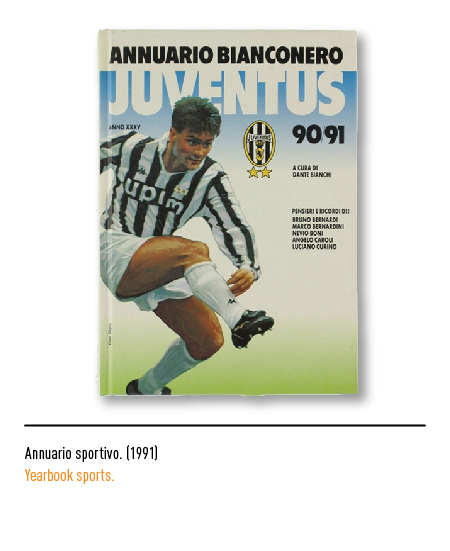 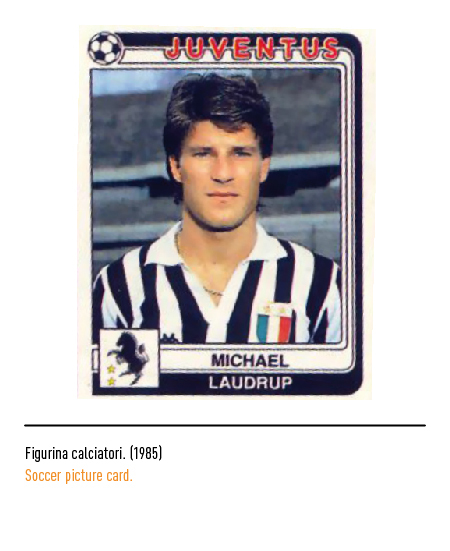 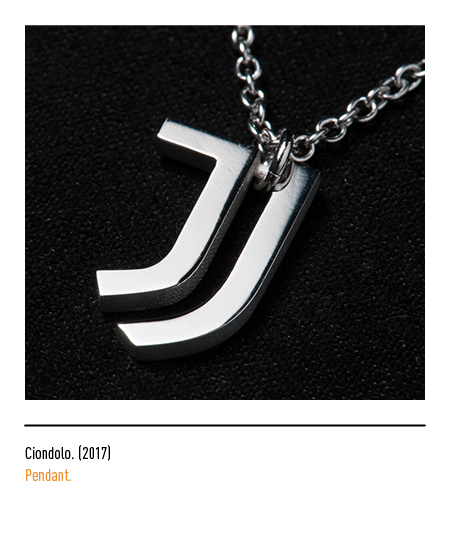 This is why they decide to call the club “Juventus” as a testament to their young age (“Juventus” is Latin for “youth”). 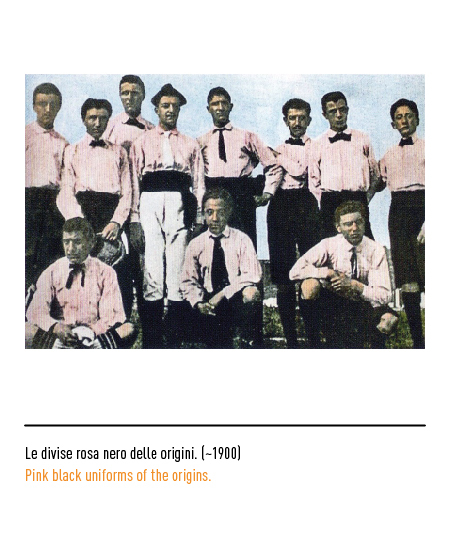 At the time of their official debut in 1900 their colors were pink and black, taken from the uniforms used during P.E. 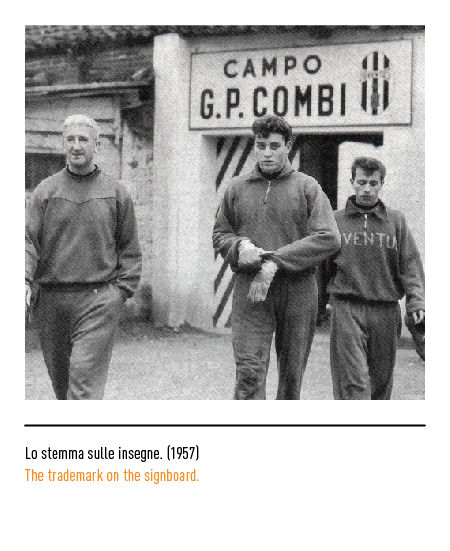 in their high school. 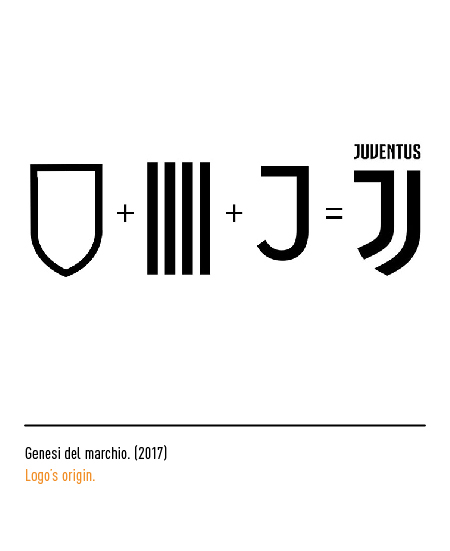 The current uniform, the one that is worldwide recognized and that captures the identity of the team, was introduced in 1903; everything started from John Savage, a British wholesaler of textiles based in Turin, and also first foreign player in the team. 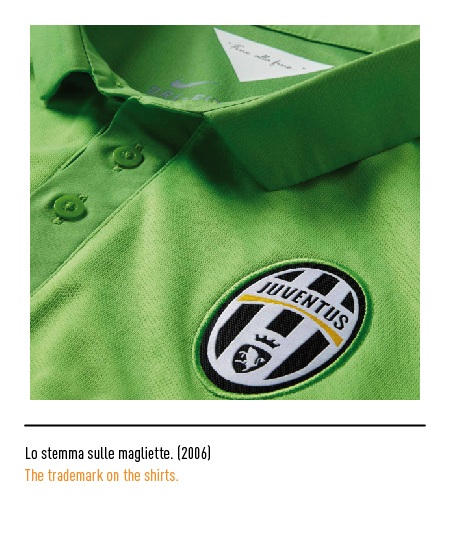 He proposed to the board members to change the current uniform, consisting of black pants, pink shirt and black tie. 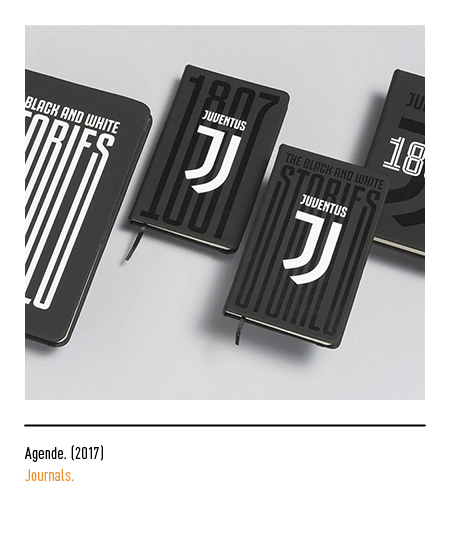 The initial proposal consisted of purchasing uniforms based on the red ones of the Nottingham Forest; therefore, Savage placed the order to a British company, sending with it one of the most weathered examples of the pink and black uniforms. 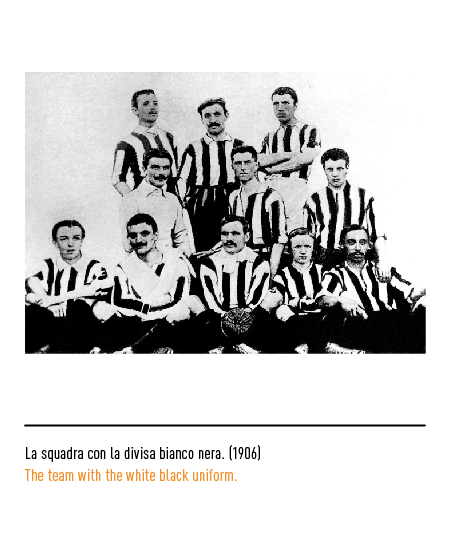 The company, upon seeing the old uniform, thought that it used to be a white shirt, discolored by the extensive usage; they sent back a whole batch of uniforms resembling the ones of the other team of the city, the Notts County, which consisted in fact of vertical black and white stripes. 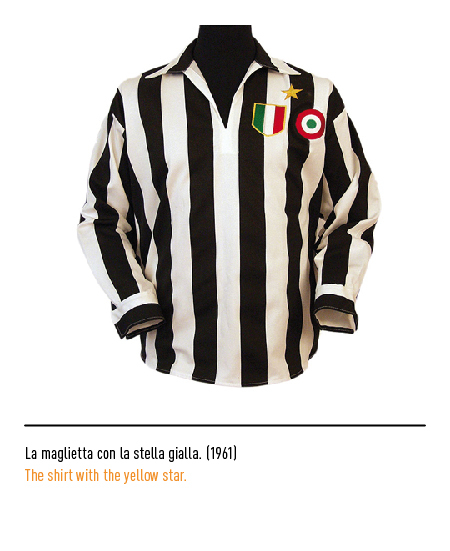 When they were delivered, the club was rather surprised, but being the start of the season near, and being the uniform modeled in the British fashion nonetheless, they decided to use them as their official uniforms. 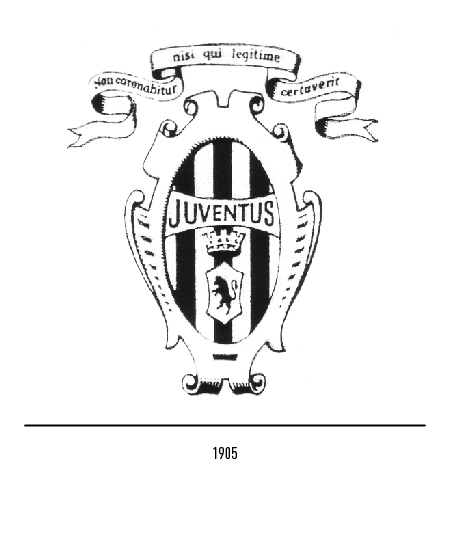 The first emblem of the club appeared in 1905 and was dichromatic, decorated with the arabesque inspired to the 19th century city insigne; on top, a white belt bearing a Latin inscription, the motto of the club, which was a famous quote of Paolo di Tarso, a Christian theologian from the 1st century: “Non coronabitur nisi qui legitimecertaverit” meaning “He does not receive the crown, he who does not play by the rules”. 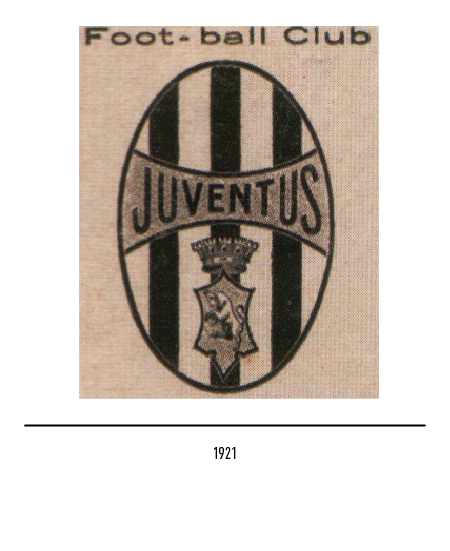 In 1921 the logo lost some of the decorative elements: the dichromatic shield was isolated, and the insigne of the city of Turin added together with the denomination “Foot-ball Club”. 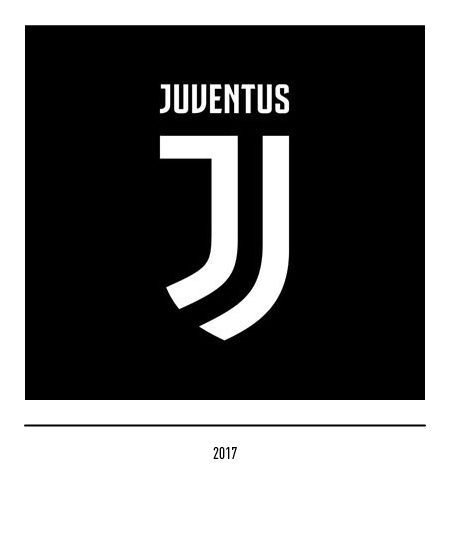 To equal its Italian enemy teams, Juventus also chose an animal to represent them: the zebra, for obvious chromatic links; and also because the Journalist Carlo Bergoglio had proposed, in 1928, to include in the shield the profile of a rampant zebra, as a symbol of “ancient nobility” of the West. 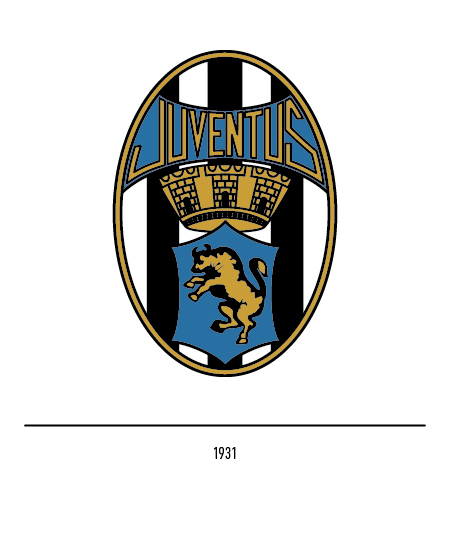 This logo, bearing the zebra, appeared in 1929 with, strangely enough, 9 dichromatic stripes; its life was though short, since in 1931 the city insigne was back, with the blue background on which a golden bull towered, together with the name of the club, also in golden characters. 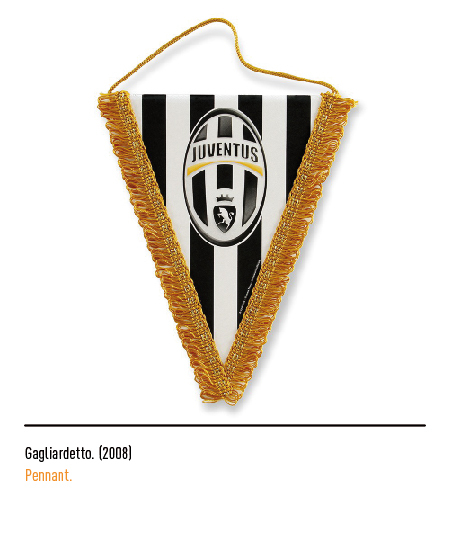 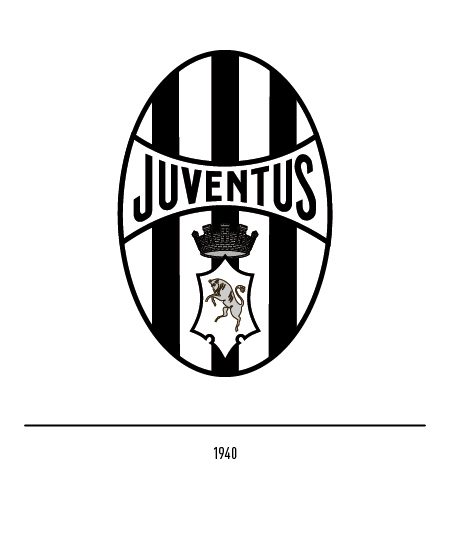 In 1950, the background of the shield and of the “Juventus” characters were made white too. 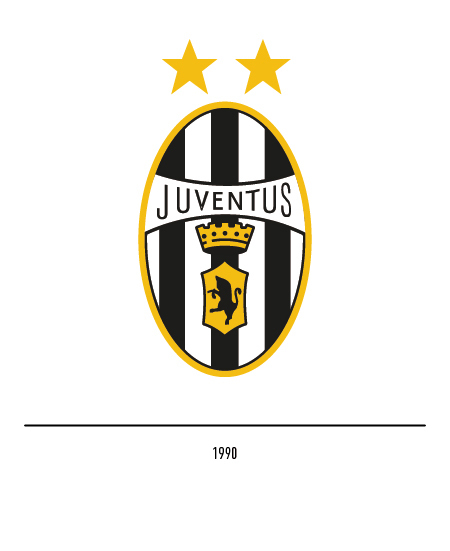 In 1959 the first golden star was sewn on the uniform, to represent the tenth Italian title conquered by the team; this will happen again after almost 30 years, in 1982 when the total number of titles rose to 20. 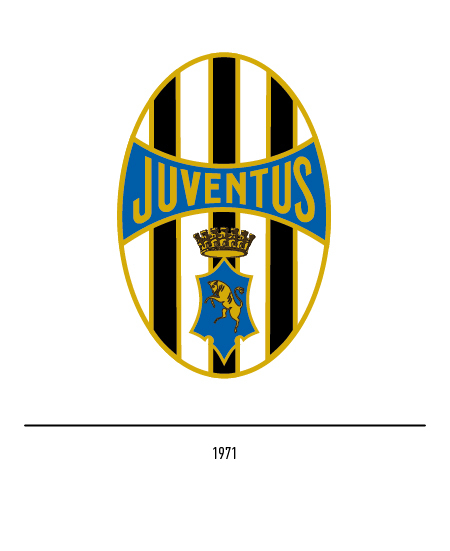 In 1971 there was a restyling of the logo, with a comeback to the blue background for the shield and the inscription; all of it surrounded by a golden contour. 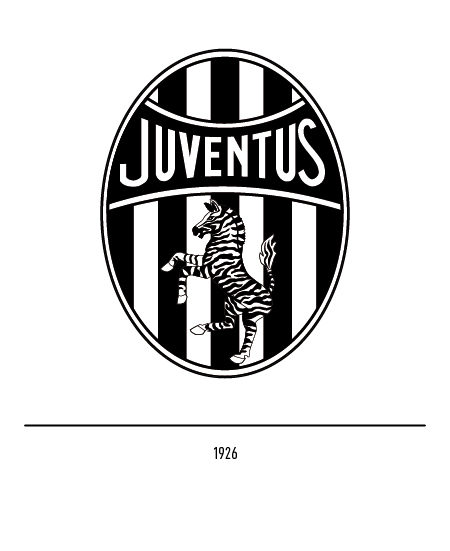 In 1979 the team officially adopted as a logo the black silhouette of a rampant zebra, with diagonal white stripes. 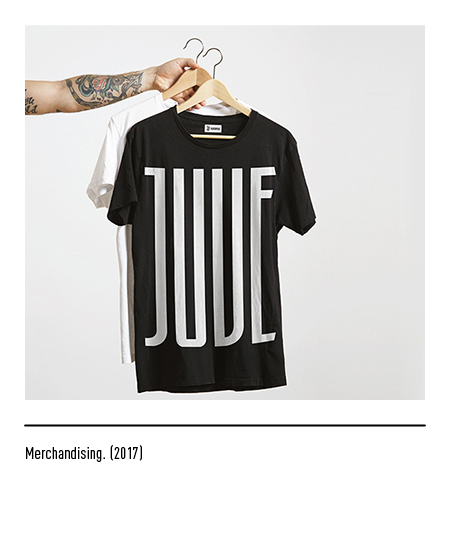 It was a great solution in terms of optical art. 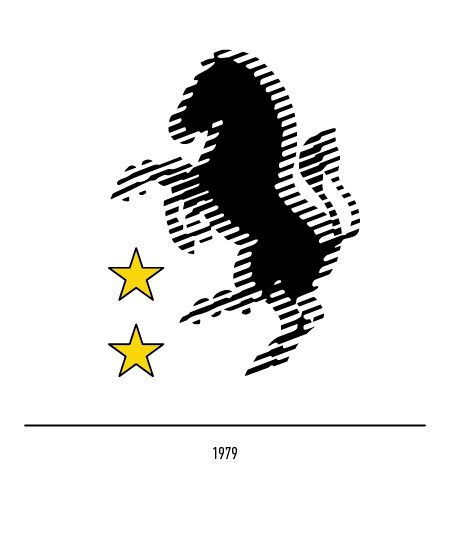 In 1990 the logo was modified once again, and it was taken back to the traditional logo, with the exception of the background, which was turned white once again for the inscription “Juventus”, and of the bull, which was now black on a golden background; by eliminating the blue background the logo was now totally black and white. 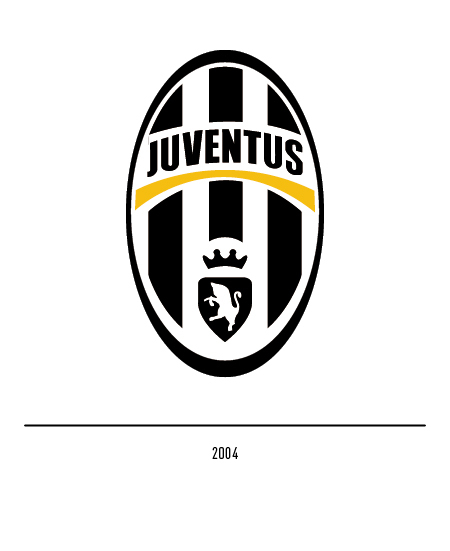 In 2004 the club turned to the agency Interbrand to restyle and reposition its logo; this was one part of a total process which aimed to modify the way the most successful Italian club represented itself both inside and outside the field.With the current logo as a starting point, a proposal was created which resulted in the most equilibrated fusion between past and future. 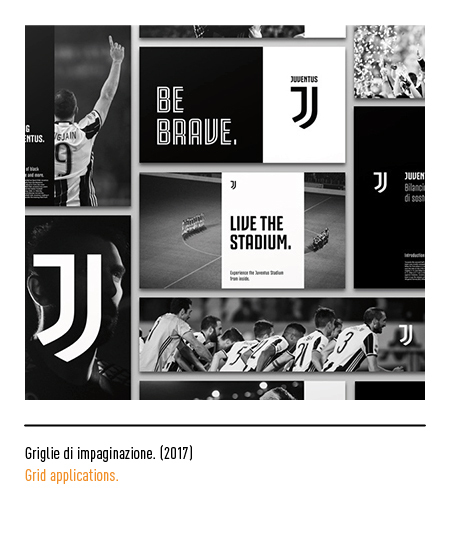 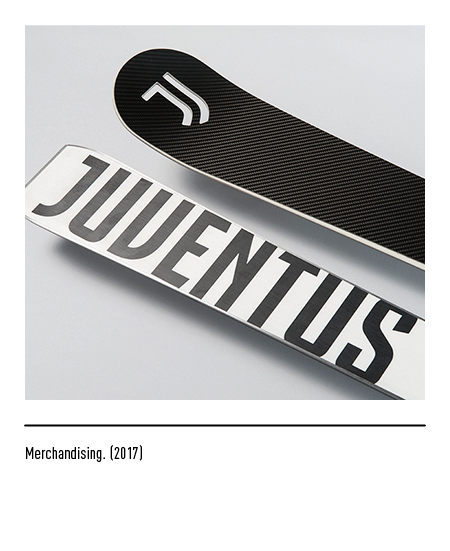 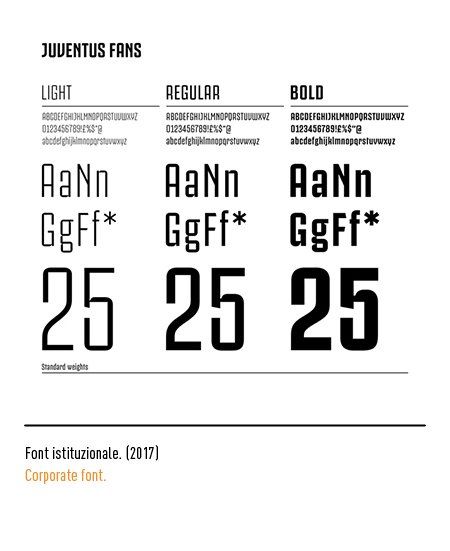 The new identity is based on a well pondered game of light contrast between black and white; the name Juventus is more readable, thanks to the choice of a clear and modern font, and the underlining yellow trait which represents the lighting point of the whole composition. 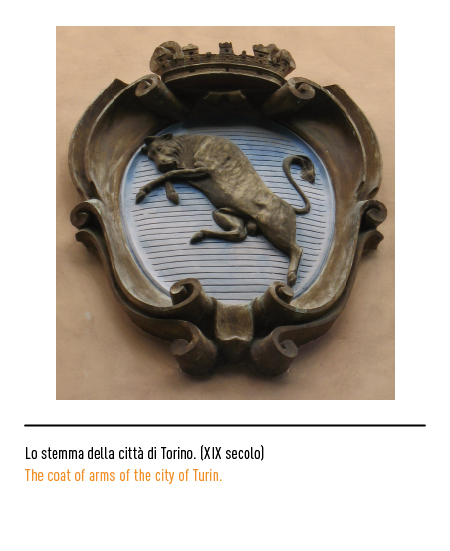 The link with the city of Turin is kept, through the reinvention of the city’s blazonry. 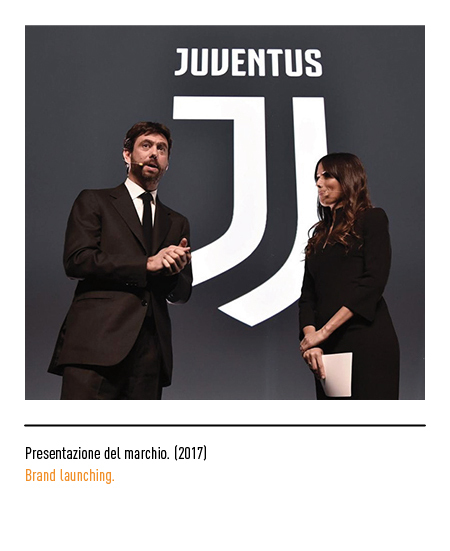 The stars are not included, and there are two main reasons behind this choice: they do not represent the identity of the club, but an athletic recognition which is subject to change, and are recognized only in Italy. 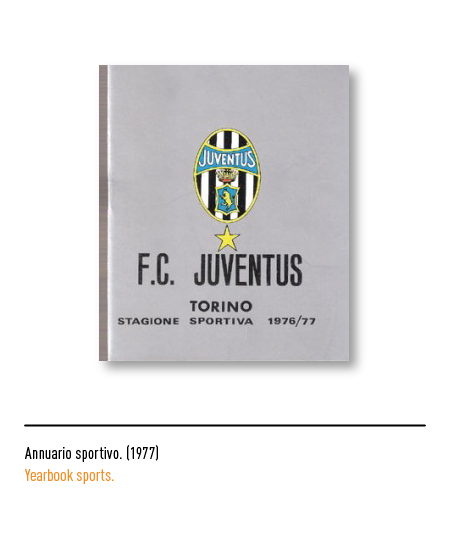 Renato Tavella, Dizionario della grande Juventus, Grandi Manuali Newton, Roma, 2007.